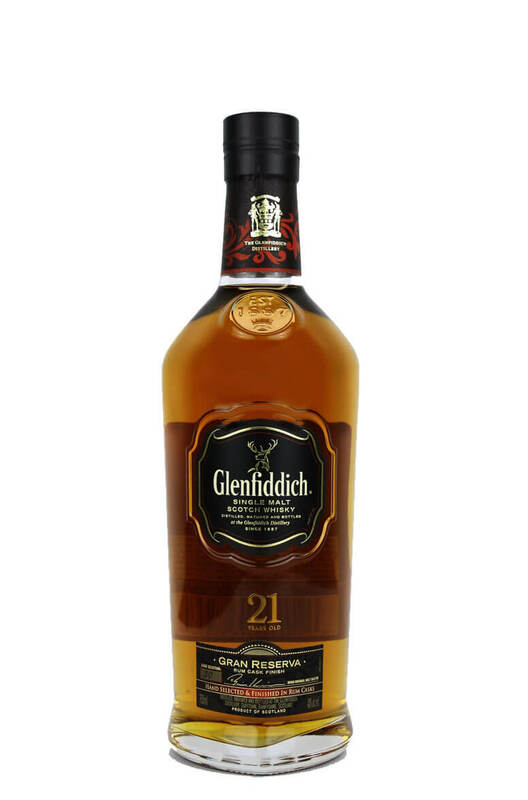 A superb version of Glenfiddich that offers up a little more in terms of flavour thanks to some finishing in Caribbean rums casks. This was previously named Havana Reserve but was renamed to make it better suited to certain markets (mostly for those who were a little sensitive to Cuban produce!). Fours months in rum casks has added flavours of tropical fruits, butter, honey, vanilla and fudge. Types of Barrel used for Aging Predominantly ex-Bourbon with 4 months of finishing in Rum casks. The Glenfiddich 15 Year Old is a uniquely aged single malt that has been aged in European, Americ..
A superb version of Glenfiddich that offers up a little more in terms of flavour thanks to some f..
A light, floral and soft single malt that is one of the benchmark whiskies of the Speyside region, h..